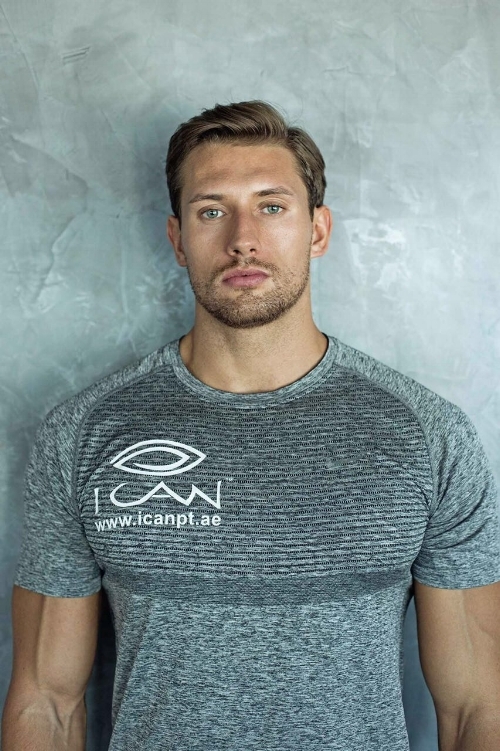 Our Dubai personal training team consists of only world-class personal trainers and rehabilitation specialists, all internally trained by ICAN PT to teach and practice our proven philosophies for achieving outstanding results, guaranteed. George joins ICAN Dubai possessing a wealth of experience from working with a host of competitive individuals. ICAN systems enable George to achieve transformations with a wide variety of clients from athletes to businesses men and stay at home mums. With PT experience in the UK, Australia and world renowned Tiger road (Thailand), he delivers a fresh, energetic approach creating a friendly environment yet demanding visible results. Lizzie is an expert in fat loss, nutrition and postnatal exercise. She was trained in dance and felt a natural inclination towards fitness, yoga and Pilates. Lizzie fully believes nutrition is a key element in anybody achieving success and has worked with world leaders in nutrition – Patrick Holford and Charles Poliquin to name a few. She will always ensure your training is unique and designed with your goals in mind making each session beneficial. Luca is an expert in nutrition and specialises in weight loss. Luca is fiercely competitive and this really comes across in his sessions and the approach he takes on helping clients reach their goals. With a vast sporting background, Luca brings confidence, charisma and fresh ideas to each session bringing the complete package for a personal workout. His infectious personality means that every single session is fun and enjoyable.